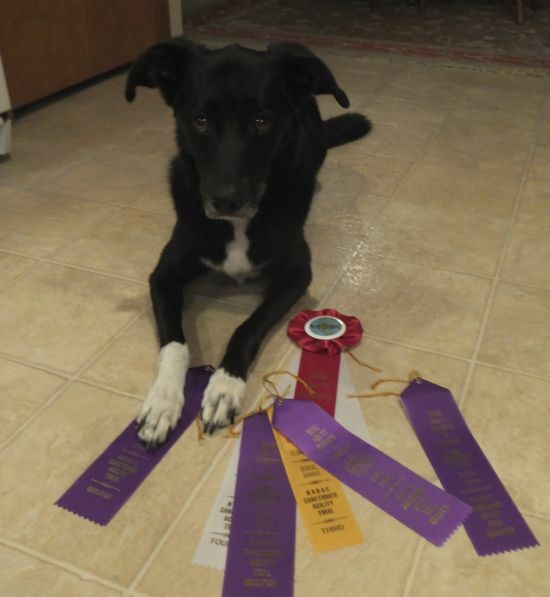 Momo ran at the agility trial last weekend. Since Apr. 2012 she has not run because of both knee's surgeries and a phobia, but she ran smoothly and beautifully even though she has not practiced at all. Way to go, Momo! Momo ran 4 and got 4Qs and got the Hoopers novice title.